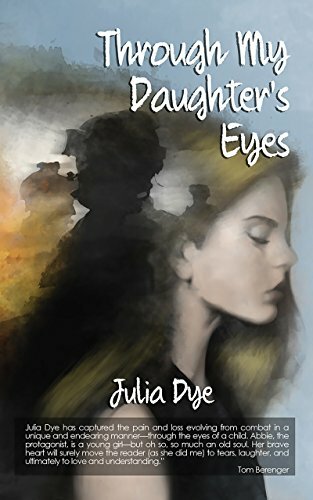 My Grandfather’s War (EK Books, 32 pp., $17.99), tells a moving story (for six-to-nine year olds) that centers on a conversation between an eight-year-old girl and her grandfather after the child learns that he had been wounded in the Vietnam War. This picture book with minimal text is beautifully written by Glyn Harper, a post-Vietnam War veteran who is one of New Zealand’s best-known military historians. Jenny Cooper provides gentle, moving illustrations. Those words capture the feelings that tens of thousands of young Americans, Australians, and New Zealanders had when contemplating what do do about the draft during the Vietnam War. Grandpa hits the nail on the head. And so does this gentle book, which has a post-script containing a very short and very good factual summary of the Vietnam War, concentrating on its legacy among Vietnam War veterans in Australia, New Zealand, and the United States. Thanhha Lai was born in Vietnam and moved to Alabama at the end of the American war. She now lives in Kansas with her family. Inside Out and Back Again (HarperCollins, 277 pp. $16.99, hardcover; $7.99, paper; $4.99, Kindle) is written in free verse. 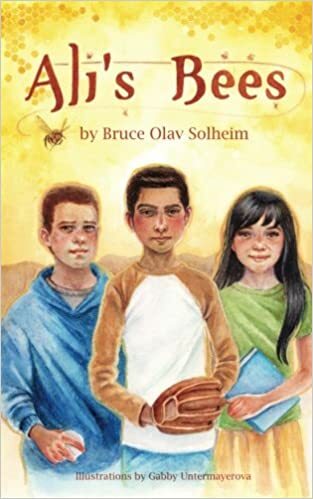 This children’s book—a bestseller that won the National Book Award when it come out in 2011— tells the story of Ha and her family’s journey from Saigon to America. Thanhha Lai decided to use poetry to tell her story rather than a novel or short stories. It starts in Saigon in 1975, the Year of the Cat. The reader gets a poem dated February 11, Tet, in which everyone eats sugary cakes and wears new clothes. It is a time for starting over. The next poem is dated February 12, and the reader realizes the book is written as a journal in poetry. At the end of the book we are on January 31, Tet, once again. In between, we get a year of Thanhha Lai’s life, her journey, and that of her family. Here’s a brief sample from “Life in Waiting,” one of the poems that offers a taste of the author’s voice and great talent. A routine starts/as soon as we settle/into our tent. Camp workers/teach us English/mornings and afternoons. Evenings we have to ourselves. We watch movies outdoors/with images projected/onto a white sheet. Brother Quang translates/into a microphone,/his voice sad and slow. If it’s a young cowboy/like Clint Eastwood,/everyone cheers. If it’s an old cowboy,/like John Wayne,/most of us boo/and go swimming. begging him to break/yet another piece of wood. who rarely speaks anymore/but I’m happy to be near him. This is a fine book, both sad and funny–and not just for children. Read it. The Vietnamese point of view is elusive and seldom appreciated. The hero of Scattergood’s latest YA book, The Way to Stay in Destiny (Scholastic, 192 pp., $16.99, hardcover; $6.99, paper; $10.99, Kindle), is an orphan named Thelonious (Theo) Monk Thomas by his hippie parents. It’s May 1974, and Theo has fallen into the hands of his mother’s brother, Uncle Raymond, a Vietnam veteran who has been working in Alaska since his war ended as a mechanic. He learned this skill during his time in the Army. Uncle Raymond moves Theo from Kentucky to Destiny, Florida. In Kentucky, Theo had been in the same class with the same twelve kids forever. Now Theo and Uncle Raymond live in a boarding house that doubles as a dance studio in which a large piano tempts Theo who shares the musical skills of the man he was named after. Until Uncle Raymond takes over Theo’s life, the boy had been destined to be a famous musician or perhaps a big leaguer. His uncle has other ideas, and lays them down as laws. Uncle Raymond carries everything he owns either in a heavy tool chest or in his old Army duffle bag He has a bum knee and complains it about constantly. When he wants to get Theo’s attention, he punches him in the arm, hard. He speaks abrupt, non-standard English.As in, “Don’t you know nothing? It ain’t no ocean.” And he tends to holler. The primary source of conflict is the piano. When Uncle Raymond finds Theo playing it, he slams the keyboard cover on the boy’s hands. “Nobody but a fool wastes time on music,” he says. At this stage of the novel I wondered what could happen to Theo and Uncle Raymond that would be uplifting or redeeming. Nothing much good can be said about Uncle Raymond. He seems to me to be straight out of a Dickens novel. Uncle Raymond seems permanently marked by his Army service. He demands that Theo “makes up the bed tight with that military fold thing.” He also insists that Theo does the laundry and folds the underwear in squares. Do we ever find out why Uncle Theo behaves so hatefully toward 6th grader Theo? Yes, we do; it relates to the culture wars of the sixties. The changes in Uncle Raymond seem abrupt and unrealistic. He has been depicted as an extremely deranged Vietnam veteran. At least he isn’t a drunk or drug addict and he does have a job. But he shouldn’t be raising a child. This book leaves the young adult reader with a narrow view of the Vietnam War, of hippies, and of Vietnam veterans. That is not a good thing. 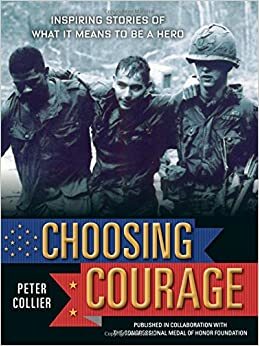 Peter Collier’s Choosing Courage: Inspiring Stories of What It Means To Be a Hero (Artisan, 240 pp., $18.95) is an image-heavy children’s book (aimed at fourth to eight graders) that presents stories of American military heroism from World War II to the wars in Afghanistan, along with a short chapter on civilian heroes in the 21st century. 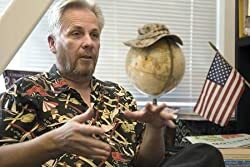 Collier’s chapter on the Vietnam War contains profiles of three well-known Medal of Honor recipients (Sammy Davis, Alfred Rascon, and Bud Day), and two lesser known men who received the military’s highest honor for courage under fire: Thomas Norris and Michael Thornton. The chapter opens with a three-page summary of the war’s history that is accurate, if exceedingly brief. Collier then details the exploits of the MOH recipients and includes sidebars on combat medics, American POWs, and SEAL training. The civilian section contains essays by Vietnam War MOH recipients Jack Jacobs and Allen Lynch, as well as an account of Vietnam War veteran Rick Rescorla’s heroic actions at the World Trade Center during the September 11, 2001, attacks.